A Literary Odyssey: Book 131: King Lear by William Shakespeare (Shakespeare Reading Month). Oooh! I like that you liked this, because I'm planning on reading it before Shakespeare month is over :) How exciting! 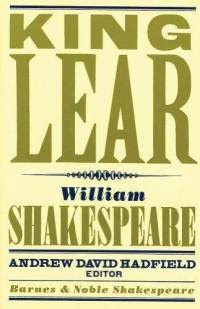 This is one of my favorite of Shakespeare's plays - and I've always been a bigger fan of the Tragedies than the Comedies. Have you read Titus Andronicus, yet? Oh, man. This play broke my heart. I have to write my review and I can't bring myself to actually express how I felt about it. Oh, well. I love your review. Edgar and Kent were my favorite characters as well, along with Cordelia. I am dying to see this one live. It's such a great play. I really liked this play too! The movie with Laurence Olivier is fantastic. 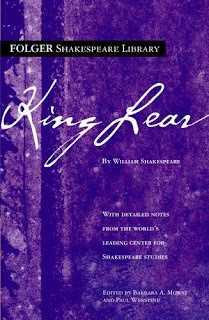 Olivier is very old when he produced it and he makes a perfect King Lear. You really feel the pain of this old man being abused by his daughters. Anyway, it's great.